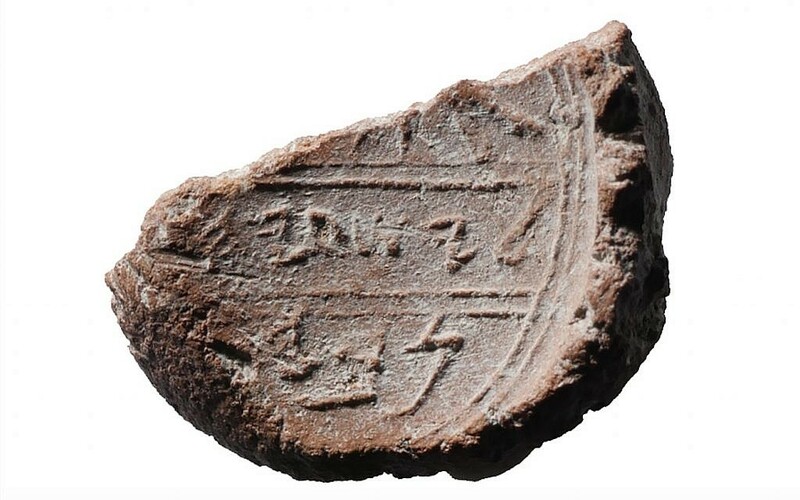 News comes this week of the discovery of a bulla (the clay imprint from an inscribed seal), and some are asking whether it belonged to the prophet Isaiah. The bulla was discovered in wet sifting of material taken from an excavation trench in the Ophel area of Jerusalem (just south of the temple mount). A fuller report from The Times of Israel can be found here. 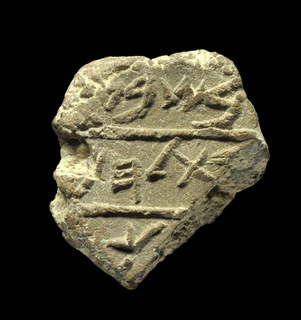 Isaiah Bulla, a 2,700-year-old clay seal impression which potentially belonged to the biblical prophet Isaiah. (Ouria Tadmor/© Eilat Mazar). The bulla is fragmentary. In the upper register, it seems to have had a pictorial representation of some kind, though it’s hard to make out what it was. It might be something similar to the winged sun disk observable on the seal of King Hezekiah (see picture below), but there is just too much broken off to be sure. It might be a name, Nabi or Nabiah (“Yahweh has prospered”) which is not found in biblical texts, but is attested outside the Bible. Well, first of all, a comment about the letters on the bulla. They represent good Paleo-Hebrew script that conforms with the type seen on other seals/bullae from the 8th–6th centuries BC. We can, for instance, find very similar letters on the bullae of King Hezekiah. The issue with seals and bullae, though, is that because they are so small, one doesn’t expect a huge variation in the form of letters. So a wide timeframe is the best we can do. Isaiah the prophet, though, who lived the late 8th to early 7th century BC, certainly fits into this timeframe. Second, the bulla was found in a controlled excavation. It would be good to get more details on exactly where it was found. At present, all we know is that it was found in material taken from “an Iron Age layer close to bedrock that was near a foundation trench cut for a wall of a Herodian vault.” How we do we know the layer dates to the Iron Age? And which portion of the Iron Age did it come from? Finally, is it likely that this is the seal of the prophet Isaiah? Unfortunately, I don’t think so, though I can’t completely discount the possibility. I have three reasons for this. The final letter א (aleph), which would make the Hebrew noun for “prophet,” is not there. Admittedly, the bulla is broken at this point, so we can’t be sure if it was. But we just don’t know if we’re grappling with the noun for prophet, or just a name. If the second line refers to a “prophet,” it seems quite unusual that it would be missing the Hebrew definite article, which is just a single letter placed at the front of a word: הנביא (hnbyʾ). There is ample room for it. Although we do have job descriptions in the second line of seals and bullae, these always seem to be definite expressions produced by the grammatical construct state. We see this, for example, on Hezekiah’s seal, where he is named [מלכיהו[דה (mlkyhw[dh])—”the king of Judah.” But there’s nothing to indicate such a grammatical construct state here, which makes the lack of a definite article fairly glaring. It’s totally normal to have a patronym (father’s name) on the second line of a seal, even without “son of.” There seems to have been plenty of room to have included the word בן (“son of”) on this line, but it’s quite normal for it to be missing. Bulla of “Hezekiah, King of Judah,” with pictorial representation of a winged sun disk in the centre. These three factors lead me to conclude that it’s more likely this is the seal of some called “Isaiah [son of] Nabi” or “Isaiah [son of] Nabiah,” than to be the seal of “Isaiah the prophet.” However, even though the lack of a definite article on the second line is significant, I can’t discount the possibility that it might be referring to a prophet in more stilted terms: “Isaiah. Prophet.” In that case, the status of the biblical prophet, Isaiah son of Amoz, especially in the royal court of Hezekiah, means this might be from his personal seal. And this makes us wonder what document he might have sealed with this bulla? But, as I said, this is, in my estimation, the less likely interpretation. It’s possible, and certainly plausible that this is Isaiah’s seal. But I don’t think it’s probable. I think it’s the second most likely explanation. I believe in this case we simply have the seal of another, less historically illustrious Isaiah, who was the son of Nabiah. The Hebrew University of Jerusalem has announced the discovery of an ancient ‘bulla’ (a clay seal with a personal stamp impressed upon on it) bearing the name of Hezekiah, King of Judah. This is not the first seal bearing Hezekiah’s name to come to light. Nonetheless, it is an exciting find, especially since it was found in situ. This particular bulla was originally found in 2009 during soil sifting at the excavations on the Ophel ridge to the immediate south of Jerusalem’s Temple Mount. The soil was part of ancient garbage debris that had been dumped between buildings in the northern section of ancient Jerusalem (Iron II). Eilat Mazar, head excavator at the site, interprets a nearby building as a royal storehouse. Excavators initially misunderstood the writing on the bulla, reading the name as ‘Hezekiah [son of] Malkiah’. It was only recently, after a second check, that the writing on the bulla was deciphered more precisely and the personal name reinterpreted. Measuring just 13 x 12 mm, the bulla itself is small enough to rest on a fingertip. The writing is, therefore, almost microscopic. An excellent photograph by Ouria Tadmor, however, provides good resolution for analysis. Bulla of Hezekiah. Photo by Ouria Tadmor. (c) Eilat Mazar. Click on the image to download a hi-res photo. The front (obverse) is clearly stamped by a personal seal that includes writing and iconography. The rear (reverse) reportedly bears the impressions of two cords that were held in place by the bulla. This suggests the bulla probably sealed a document of some kind. Unfortunately, the document is now lost—presumably a papyrus of some kind, which probably did not survive antiquity. The obverse has two registers, one each on the upper and lower extremities of the seal. The letters are Palaeo-Hebrew, and conform to the epigraphic style we see on a number of seals that can be dated to approximately the early seventh century BC. There is some damage in the upper register, and it is difficult to make out the letters on the far left side of both registers. The words are separated by a small but discernible dot, which is a common practice. The Hebrew word for ‘son of’ (בן) is omitted. Such an omission was common practice in seals, which were too small to host many letters. The name is clearly reconstructed to Hezekiah, son of Ahaz. More than this, he is specifically given the title ‘King of Judah’. The word ‘Judah’ appears to be incomplete. The daleth (ד) is only partially visible and the final latter, he (ה), is missing altogether. However, some of Hezekiah’s other seals clearly give the name of the kingdom of Judah in full as יהדה (yehudah). Therefore, we can be confident that the stamp itself did have the fuller spelling of ‘Judah’ on it, but this particular bulla lacks it because of the way the stamp was impressed into the clay. Drawing of a scarab beetle bulla of Hezekiah. The top line reads יהדה (‘Judah’), and the bottom line reads לחזקיהואחזמלך (‘belonging to Hezekiah [son of] Ahaz, king’). Hezekiah, son of Ahaz, is known from both biblical and Assyrian sources. The exact dates of his reign are debated, but 715–687 BC are the most commonly espoused dates. The Bible tells us that Hezekiah’s father, Ahaz, made the kingdom of Judah a vassal to the Assyrians, against the advice of the prophet Isaiah (Isa 7–8). Ahaz did this in order to procure Assyrian help against an alliance of Damascus and Israel that was threatening him. This set the dominoes toppling that would see both Damascus and Israel fall to the Assyrian armies and be absorbed as provinces into the Assyrian imperial structure. Hezekiah may have been co-regent for a time with his father, Ahaz, but he at least reigned in his own right just after the downfall of the kingdom of Israel in 722 BC. While Ahaz was content to be an Assyrian vassal, it appears Hezekiah was not. Instead, Assyrian sources tell us he took the political risk of meddling in Philistine affairs. The Bible portrays Hezekiah centralising his power (including the cult of Yahweh) in Jerusalem, thereby extending his sovereignty over his kingdom more directly. This provoked the ire of the Assyrian king, Sennacherib, who invaded Judah in c. 701 BC. Sennacherib claims to have destroyed 46 cities of Judah and deported their survivors. He even depicted the siege of Judah’s second largest city, Lachish, on the walls of his palace. The Bible tells us that Hezekiah tried to bribe Sennacherib with treasure from the temple in Jerusalem, and even appealed to Egypt for military help. However, all this failed. In his annals, Sennacherib claims to have cooped Hezekiah up in Jerusalem like a bird in a cage. Surprisingly, Sennacherib did not end up taking Jerusalem. The fact that Hezekiah provoked the unrestrained wrath of Assyria, experienced the full-scale barbaric invasion of his country, which brought Judah to the very brink of destruction, only to emerge still on the throne in an unscathed Jerusalem (there is no layer of destruction or evidence of Assyrian siege in the relevant archaeological strata) with the Assyrian armies returning to Mesopotamia is perhaps one of the greatest stories of political survival against the odds in history. It’s no wonder the Bible attributes this to the divine intervention of Yahweh himself and gives Hezekiah a generally glowing report card. In the centre of the bulla is a sun disk. It emits six rays and has a set of wings that curve gently downwards in a posture of protection. The imagery of a winged sun disk is ubiquitous in the ancient Near East. It can be found in Egyptian, Assyrian, Persian, and Ptolemaic iconography. The sun usually is a cipher for the chief deity of the culture to which the owner of the seal belonged. In Assyria and Persia, the disk is often augmented with the depiction of a personal figure—the god Asshur in the case of Assyria, and the god Ahura Mazda in Persian depictions. However, no such personal depiction of a deity is seen in the sun disk here. There are two options for interpreting the sun disk here. First, it might be depicting the sun god, showing Egyptian influence. To that end, we note that on the right side of the bulla we see the ankh, the Egyptian symbol for life. The faint vestiges of a second ankh are just visible on the far left side of the bulla also. Hezekiah is known to have appealed to Egypt for military assistance against Sennacherib, though this was unsuccessful. Thus, in his anti-Assyrian stance, Hezekiah may well have absorbed Egyptian influence. Some of his other seals display a scarab beetle, which is clearly influence by Egyptian iconography. Furthermore, we know that in the early sixth century BC—a century after Hezekiah—the sun god was worshipped in the Jerusalem temple, though the practice is condemned in Ezekiel 8.16–18. This particular understanding of the iconography has explanatory power, though it is at odds with the biblical depictions of Hezekiah as an avowed exclusive Yahwist. The alternative option is to understand the sun disk as a compatible cipher for Yahweh, the national deity of Israel and Judah, and patron deity of the Davidic dynasty in Jerusalem. While it is clear that Hezekiah did adopt Egyptian iconography, this does not necessitate his own worship of Egyptian deities. The compatibility of such iconography with Yahwistic religion is seen in a couple of places in the Bible. For example, Psalm 84.12 [84.11 Heb] says, ‘For sun and shield is Yahweh God; favour and glory does Yahweh give.’ In Malachi 4.2 (3.20 Heb), Yahweh declares, ‘But for those who revere my name, the sun of righteousness will rise with healing in its wings’. This verse probably refers to the winged sun disk as a symbol of Persian authority, as the Persians often depicted their deity Ahura Mazda that way. The Persians were also content to identify Ahura Mazda with certain ‘compatible’ deities of their subject peoples, Yahweh being one such deity. Malachi, then, most likely sees Yahweh’s blessing on his devotees as coming through Persia’s favour. The iconography of Persia is, therefore, baptised into Yahwism in such a way that it provides a compatible cipher for Yahweh’s own favour. The iconography on this bulla may well be doing the same thing: using common Egyptian symbols in the service of Yahwism. Relief of a sun disk with depiction of Ahura Mazda from the ruins of Persepolis. The press release from Dov Smith (Hebrew University, Jerusalem) suggested the two ankh signs on the bulla might be connected to Hezekiah’s recovery from a life-threatening illness, depicted in 2 Kings 20.1–8 and Isaiah 38. The logic was that Hezekiah’s earlier seals contained scarab beetles rather than a sun disk, and were devoid of any ankh signs. The sun disk is suggestive of healing (cf. Mal 4.2 [3.20] mentioned above) and the ankh is a clearly a symbol of life. As tantalising as the suggestion is, we must urge caution. First, to my knowledge there is nothing that allows us to date the scarab bullae specifically earlier than this sun disk bulla. So the dating is speculative. However, we have only three possibilities for ordering the respective bullae: either (1) the scarab bullae are earlier; (2) the sun disk bulla is earlier; or (3) the bullae are contemporary. So the suggestion is not implausible—just uncertain. But, secondly, the dramatic survival of Hezekiah and Jerusalem in the face of Sennacherib’s invasion is just as plausible an explanation of this seal’s iconography. The symbols might even be multivalent, since Hezekiah had more than one close call in his lifetime—especially if we remember the threats to Jerusalem during the reign of his father, Ahaz. Therefore, the suggestion in the press release is not wildly speculative—it’s a plausible suggestion. However, it’s not the only one. This bulla is significant because it was found in situ. That is, archaeologists found it in the course of excavation in Jerusalem. This is different to the other bullae of Hezekiah, which were not found in situ, but rather turned up on the antiquities market from unknown sources. When that happens, we have no way of verifying the authenticity of these bullae, and therefore, we can only make provisional evaluations of them at best. Since this new bulla was found in situ during a controlled dig, we can be confident about its authenticity. And this allows us to say with a far greater degree of confidence that the other bullae purportedly from Hezekiah’s personal seals are probably also authentic. Two such bullae in particular deserve mention. They are, for all intents and purposes, identical to this ‘new’ authenticated bulla, though they first came to late in the 1980s and 1990s. We have, therefore, three practically identical bullae displaying the same configuration of iconography and with the exact same inscription, and one of them is positively genuine. It’s almost certain, then, that all three are genuine. The unprovenanced bullae were discussed in an article by Robert Deutsch titled ‘Lasting Impressions: New Bullae Reveal Egyptian Style Emblems on Judah’s Royal Seals’, published in Biblical Archaeology Review 28.4 (2002), 42–51, 60. Another of Hezekiah’s sun disk bullae displaying identical configuration. Furthermore, the discovery of this ‘new’ bulla in the excavations at the Ophel ridge in Jerusalem confirms that we are dealing with strata related to the Judean monarchy in Iron II, and the historical significance of Hezekiah. While these were not really in serious doubt, we still see here a positive corroboration between a number of sources. The authenticity of this bulla sees a very neat intersection between ancient literary sources (Assyrian annals, the Bible) and archaeological artefacts. Since the original announcement by the Israel Antiquities Authority, there has been a flurry of discussion about the new bulla which, it is claimed, refers to Bethlehem. In my previous blog article, I mentioned that the photograph accompanying the announcement didn’t seem to allow for a reference to Bethlehem. At the same time, however, I mentioned that photographs of inscriptions like these can distort critical features. Hence, I called for some extra eyes to take a look at the bulla and let us know what they see. According to Ahituv, the first fragmentary letter is not a ב (b), as originally reported by Eli Shukron, but a י (y). Furthermore, he claims that though they are slight there are traces of a left vertical stroke on the final extant letter, yielded a ח (ḥ) rather than ה (h). Accordingly, he concludes that the second register does indeed refer to Bethlehem (ביתלחם). Ahituv is a trusty epigrapher. He’s the author of the Carta Handbook, Echoes from the Past: Hebrew and Cognate Inscriptions from the Biblical Period, and he knows his stuff. It’s good to see that we have an actual epigrapher looking at the bulla. One wonders why his opinion was not included prominently in the IAA’s original announcement. I’m more than happy to retract my preliminary conclusion on the bulla, but before doing so, I’d like to hear from one or two other epigraphers who can inspect the bulla itself. Chris Rollston, you’re up! This raises the issue of the way epigraphic finds are announced. It would seem sound practice to employ two independent epigraphers and have their opinions accompany any such announcement. This is especially vital when the published photograph seems to speak against the announcement. The Israel Antiquities Authority is reporting the discovery of a clay bulla (a seal originally impressed into soft clay) during sifting of soil and debris from the City of David excavations. According to excavation director, Eli Shukron, the seal dates to the seventh century BC and is our earliest evidence for Bethlehem. But, quite frankly, I don’t buy it. …it seems that in the seventh year of the reign of a king (it is unclear if the king referred to here is Hezekiah, Manasseh or Josiah), a shipment was dispatched from Bethlehem to the king in Jerusalem. 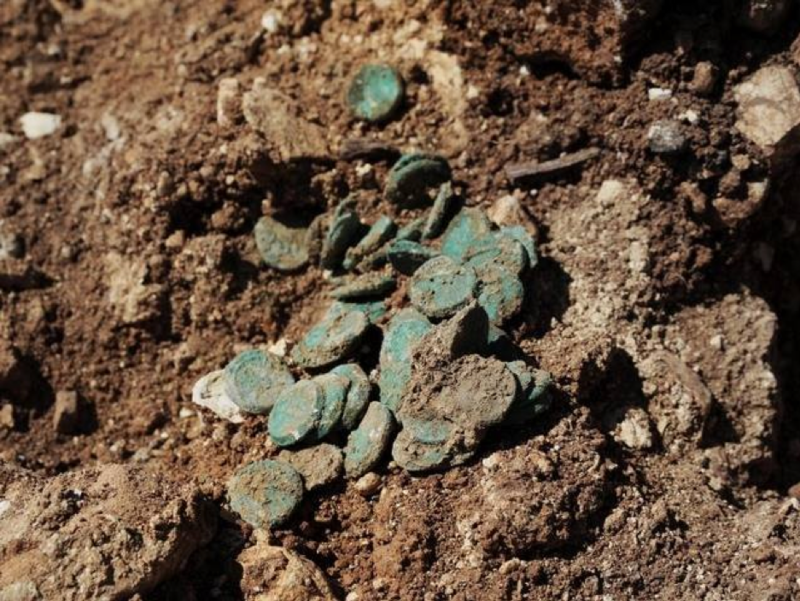 The bulla we found belongs to the group of “fiscal” bullae – administrative bullae used to seal tax shipments remitted to the taxation system of the Kingdom of Judah in the late eighth and seventh centuries BCE. The tax could have been paid in the form of silver or agricultural produce such as wine or wheat… […] this is the first time the name Bethlehem appears outside the Bible, in an inscription from the First Temple period, which proves that Bethlehem was indeed a city in the Kingdom of Judah, and possibly also in earlier periods. The first register (line) of the bulla is quite fragmentary, with the beginning and end of the line no longer extant. If Shukron’s reading of the third register as למלך (‘for the king’) is correct, then there is ample room for at least one or two letters before the initial extant ב (b). If this is the case, then it opens up the possibility that the first register does not relate to the number seven (Heb: שבעת), but could instead be a name, perhaps beginning with אב (Ab—). After the ש (sh) in the first register, Shukron reads ע. However, given the shape of the other letters, which seem to resemble Hebrew letters of the seventh to sixth centuries BC, one would expect this ע to be represented by a plain circle—the standard shape for this letter in that period time. But this does not appear to be the case here. On the contrary, the shape of this letter seems to resemble a narrow floating figure ‘7’. This shape is much closer to the relevant forms of letters נ ,ו, or פ, (w, n, p). though in each case, the letter would still be an unusual shape. Now it simply could be that the photograph is masking the true shape of the letter. This type of photographic distortion certainly occurs, as I found out first hand when I discovered an extra letter on the Tel Dan Inscription that simply did not show properly in photographs. So, we’ll reserve final judgement on this until we have the testimony of other skilled epigraphers who have the chance to inspect the bulla personally. But, going by the current photograph, Shukron’s reading here doesn’t seem to match what’s there. In the second register, Shukron reconstructs the first letter, which is mostly broken off, as ב (b). This is certainly possible, but not necessary. In fact, it looks to me as though ר (r) is a slightly better fit for this fragmentary letter. Nonetheless, let’s give Shukron the benefit of the doubt here. The next two letters are not problematic. They unambiguously read תל (tl). However, Shukron claims the next letter is ח (ḥ). However, there is one big problem with this: normally the letter ḥeth has two vertical strokes, one on each side of the three horizontal ‘rungs’, producing a kind of ladder shape. But there is clearly no vertical stroke on the left side of this letter. What we are left with is, rather, the classic ‘brush’ shape of the letter ה (he). This means that the bulla simply cannot be referring to Bethlehem (בת לחם), for that would require the letter ח, not ה. But we clearly here have a ה. Add to this the fact that the word division in this seal (as is the case with most others) is not actually apparent, and the connection to Bethlehem becomes even more stretched. So what has happened here? Has there been an absolute bungle of epigraphic analysis here? Did Shukron and the IAA totally miss the fact that this letter is he, not ḥeth? Or are they trying to make the bulla read what they want it to say and hope that the non-epigraphy-skilled public just go along with it? Whatever the reason behind it, this just simply does not refer to Bethlehem—unless the published photograph is not just distorting something, but actually fibbing. What the bulla does refer to is unknown—we’ll have to do some more thinking on that. But I am not a little astonished at the reading offered by Shukron. Given that the second register almost certainly does not refer to Bethlehem, it’s just possible that the second register is a patronymic for a woman. If, as Shukron suggests, the first letter is ב (b), then it could read […]בת לה (bt lh…): daughter of Lah[…]. Seals of prominent women are not unknown, but it would suggest that the owner was most likely royalty—either a wife or daughter of the king. This reading is a distinct possibility, but ultimately cannot be verified. The third and final register has but one extant letter: כ (k). This could certainly be part of the word למלך (‘for the king’), as Shukron suggests. It seems he is being led here by the other fiscal bullae we have discovered, in which the word למלך is clearly there. If this is the case, then as is the norm, this bulla may well represent a stamp indicating the origin of some commodity sent to the king of Judah in the seventh or sixth century BC. However, as I’ve suggested above, there is just as much chance that this is a personal seal mentioning someone’s name. If this is the case, then perhaps the extant end of the first register reads בן (‘son of’). But that’s more of a guess than a hard-and-fast observation. It seems we need to wait for some more reliable and unsensational epigraphic analysis to be done on this bulla. Unless I’m very much mistaken(1), it seems fairly clear from the published photo that this bulla does NOT refer to Bethlehem. I lean towards seeing this as the seal of a prominent woman, though ultimately I can’t even be sure of that. Could a decent epigrapher please go and have a look at this seal, or could a generous benefactor pay to fly me over to inspect it? Links to other reports about this bulla can be found below. You can see from some of the links how quickly news of this find is being disseminated as ‘proof’ for Bethlehem. The thing is, we don’t need this bulla as evidence for Bethlehem’s existence. It’s all rather unnecessarily sensationalist. (1) I have been known to be wrong before. I remember it well, actually. It was a Wednesday.